It is a rainy late-summer's night in New Orleans. Detective Dave Robicheaux is about to confront the man who may have savagely assaulted his friend, Father Jimmie Dolan, a Catholic priest who's always at the centre of controversy. But things are never as they seem and soon Robicheaux is back in New Iberia, probing a car crash that killed three teenage girls. A grief-crazed father and a maniacal, complex assassin are just a few of the characters Robicheaux meets as he is drawn deeper into a web of sordid secrets and escalating violence. A masterful exploration of the troubled side of human nature and the dark corners of the heart, peopled by familiar characters such as P.I. 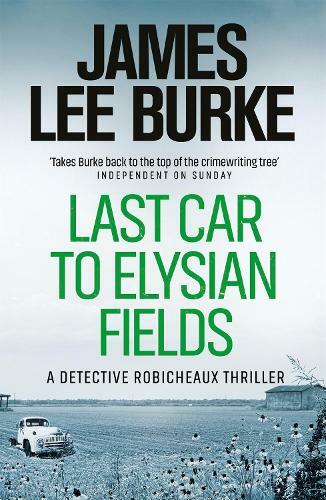 Clete Purcel and Robicheaux's old flame Theodosia LeJeune, LAST CAR TO ELYSIAN FIELDS is vintage Burke - moody, hard-hitting, with his trademark blend of human drama and relentless noir suspense.